When you need lawn fertilization in Breinigsville, you need Green Turf. Is your lawn looking brown and dry, no matter how much you water it? Are you sick of constantly pulling weeds, only to have them pop back up again a few weeks later? Would you love to have the most beautiful lawn on the block, but you just aren’t sure how to get it? If your answer is yes to any of these questions, you’ve come to the right place. We are Green Turf, and we offer an effective lawn fertilization program in Breinigsville that can keep your lawn healthy, beautiful and free of those annoying weeds. A rich, thick lawn starts with Green Turf Care! Lawn care goes beyond just watering — it takes strategic lawn treatments year round. 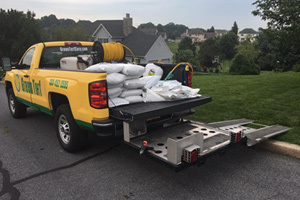 When you partner with Green Turf Care for all of your lawn care needs you get an ally that is ready to treat your yard with our 6-step fertilization process, let’s take a quick look into it! Early spring, early summer and summer seasons – During this time we’ll really work on balancing your lawn with a slow-release fertilization to fortify the cell development of the grass. 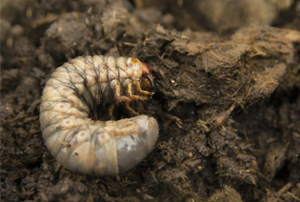 Not only will this inhibit major spring growth, it’s great for weed control. Early fall, fall, and late fall seasons – These seasons we target a healthy root development and continue to incorporate a balanced fertilizer and overall weed control. As the late fall wraps up and the temperatures drop below 43 degrees F, we treat your lawn with a winterized fertilizer for a lawn that will be disease resistant and an amazing green color in the spring! If you’re ready to invest in a healthy and vibrant lawn read more about our process below! Start our 6-step fertilization process today! Our six-step fertilization program is implementing over the course of several months, from early spring to late fall. During the first few applications in the spring and summer, we’ll provide your lawn with treatments that help to promote the healthy development of strong cells and root systems, as well as the prevention of broadleaf weeds and crabgrass. During the late summer and throughout the fall, we’ll provide treatments that help to keep your lawn looking beautiful, while preparing it for the winter months ahead. Additionally those late fall treatments will help your lawn to bounce back after a long winter, helping you to get the most out of your lawn again once spring arrives. Contact us today for lawn fertilization and weed control in Breinigsville. When your lawn isn’t looking healthy or beautiful, and you want an effective, affordable solution, turn to the experts at Green Turf. 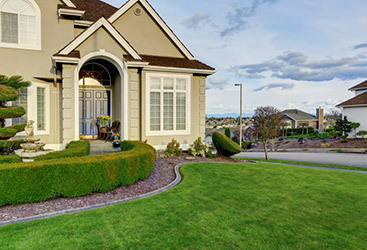 With more than 10 years in the lawn care industry, we have what it takes to make your lawn the envy of your entire neighborhood. 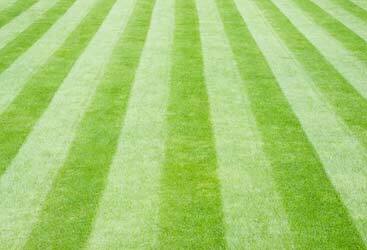 Let us help you achieve the lawn of your dreams!